Every time we see a free talktime offer, it always prove to be a fake trick. But this trick is fully tested by me, and its working till now. You can get Free Talktime from android apps and games. You can also refer this apps and game to your friends and family to get more reward as talktime. I got talktime of 500 bucks till now. So lets see how to get free talktime just by inviting friends to play games and use apps(Android). I think this trick works for only Indian Users, but others may also try and post your result in the comment section below. How to get Free Talktime from Android apps and games?? If you meet both the above requirements, then you are good to go. We have 3 games and 1 app that can give you free talktime. First i will show you some proof on how much i earned from HIKE. Below is a screenshot of the Free talktime i got from Hike. Likewise i got talktime from other games and app too. You can get more talktime than this, just follow the steps given below Carefully. UPDATE(4/11/2014) : ONLY “Free Talktime“, “Pokkt” & “MCENT” ARE WORKING NOW, ALL OTHER APPS OFFER ARE NOW OVER. Download Free talktime app using this LINK. Now install the app and activate it using your mobile number. After verifying mobile number, you will see a page with many offers and the respective talktime you will get for completing them. You can complete offers to earn talktime, and also refer your friends to get some extra talktime. You can redeem the talktime after you have minimum Rs.50 in your account. One best thing in this app is, you can also give talktime to family and friends. This is again an amazing app to get free talktime by installing android apps, and referring other friends. Download Pokkt app from this LINK. Install the app and register it. Download the apps given in the offer page to earn talktime. You need to launch and use the newly installed apps for atleast 30 seconds to earn talktime. After using launch Pokkt app and refresh to find the talktime updated. You can also refer friends to download this app to earn unlimited talktime. Sometimes it may take some time for the updated talktime to show up in your pokkt account. Wait till you get the talktime and then you can uninstall the unnecessary apps. Mcent is a website which is regularly updated for new offers to win Talktime. It may have offers to install apps and win talktime. It is not concerned only with android app, you can do it from PC too. Go to this LINK to download the MCENT application. Install and register the app on your phone. Complete the offers by installing the apps mentioned in the app to get talktime. You can also refer your friends to get more talktime. Here is the proof to show that, you can talktime on a daily basis. It will then say you to make a Account at MCENT. Make an account and earn Rs.5 for each referral using your link. You can share that link via Facebook, Twitter, Gmail or other. It’s currently a working method so quickly grab it before it expires. Mcent keeps on upgrading new offers, so stay tuned for more. Download the app from this LINK (OPEN THE LINK IN MOBILE) only. After installing the app, Launch it. Now enter your name and select your avatar. Select get talktime on the main page of app. On the new page, you will see all your offers. First offer is to install magic temple app and get Rs. 10. The next Rs.500 offer can be availed by inviting friends to install the app. Invite friends and get Rs.25 for each friend who installs app from your link. You can share the link on whatsapp or other platforms. After you complete Rs.50, you can redeem the amount by entering your mobile number details. Open the link in normal android browser, then it will ask you to ‘open with‘, select PlayStore. Now after installing, just start the game and play it once (60 sec tutorial). After completing first tutorial, tap on the gold coin icon. After that, tap on the rewards icon. Now you will see that you have Rs.10 in your account. Just press redeem. Then enter the amount as 10. After that fill the details like mobile number, carrier, and location. Then press redeem. Now it will ask for code. Enter the code that you received on your mobile number and press submit. After few seconds a success messaged will be displayed and you will get your talktime. You just got Rs.10 for installing the game. Now you can earn more by inviting your friends. On the offer page of Magic Temple, you will see offer to invite friends and earn talktime. Click on invite, then select the mode to invite your friend (eg: whatsapp or via message). Choose one of your friend and send invite. You can see the Link which is generated (eg. http://tinyurl.com/qv2), and if your friends install the games using your link then you will be rewarded. This game does has the Rs.10 offer, but it didn’t worked in my case so i am ignoring it. You can try it before installing the above game. 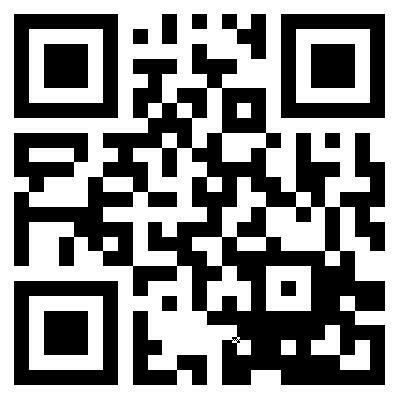 Download the game using this link or scan the QR code below. Just start the game and you will see get rewards icon on the main page itself. In this game too, you can get free talktime by inviting your friends to install the game. Note it works only if your friend installs the game, by clicking your link. You get rewarded Rs.25 for each friend who installs the game using your link. These were the two games from which we can get Free talktime by inviting friends and family. There is one more app which offers similar kind of Reward scheme. This app works for many platforms. So people using phones other than android can also get advantage by using this app. First install hike from this LINK. Install it on your mobile phone. Now activate it by verifying your phone number. After launching hike, tap the options button on the upper-right corner, and select rewards. Select Get Started. You will see some steps that you have to complete in order to redeem the talktime. You get a Rs.15 bonus for joining hike. Now select invite friends, choose ‘Free Sms’ and send all your friends invite. You get Rs.20 talktime for each friend who joins hike. Complete the other steps like chatting, updating profile pic & status, starting a group chat. Keep on using the app till the talktime meter fills upto 100%. After that you can redeem the talktime you gained. You also get 50 Free sms for each friend who joins hike. In this way you can get Free Talktime using android apps and games. This is totally working and tested method. Please have some patience and follow the steps given above properly. I am sure many of you will get the Rewards as Free Talktime. If you got talktime and you liked the trick, do comment below and share it on Facebook or Twitter. If you have any problems regarding the trick, do post them in the comment section below. Share this post with Friends and Family using the social buttons given below. Should you upgrade to Windows 10 or not? excellent info. detailed info about the apps. Well hike has updated and now the offer will be over on 28 Feb. While Mcent keeps giving offer, you can check back after some while. Now Song quest 2.0 is totally working. Madlock, mcent are still working. Is any offer available now? I have mentioned the offers which are working. No other offers accept those. You can try mcent, free talktime app and madlock. please tell me app that currently giving reward talktime…. thanks friend, exellent info you give us.. Which app is currently working? You can stay tuned with the new updates of the post. Currently earn talktime, pokkt, and mcent are working. Are there any apps on windows for earning free talk time? You can try hike. You get Rs. 20 for each referral i.e. the highest right now.